With all the talk on evolution of cars rather than a revolution, lets take a look-see at all the changes that are in place for 2013. The DRS rule was brought into the sport in 2011 to aid in overtaking and to help the cars behind that lost out due to turbulent air in the corners to gain some time back on one or two straights on the track. This was effected by allowing the driver, during the race, to open one element of his rear wing in order to reduce the drag on either one or two straights depending on the circuit, if he was within one second of the car ahead of him. This resulted in the cars gaining anywhere between 10 - 20 kmph on that particular straight. During practice and qualifying the drivers were allowed to use DRS anywhere on the circuit. All drivers barring Lewis Hamilton have been insisting that this was turning out to be very dangerous as drivers were trying to get on to DRS as early as possible during practice and qualifying in order to pull out hundredth's of seconds from their lap times. To prevent this, from 2013 onwards, the drivers are only allowed to use DRS in the zones marked out for race day. 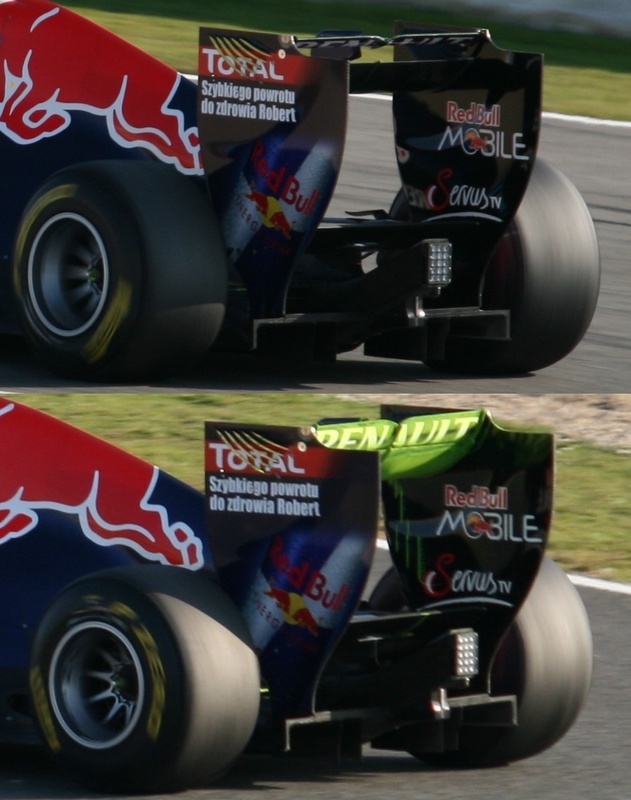 The other change to this rule is that the use of DRS is not allowed to stall the airflow on any other part of the car as was the case with the Mercedes in 2012, with the infamous double DRS. This has lead to some teams working on a passive DRS device, which will allow them to stall some parts of the car, including a wing using the airflow and thereby increasing the straight line speed of the car. This though could lead to some pretty hairy moments and intense crashes, as the speed at which the airflow changes and stalls the wings will vary from circuit to circuit and even through the race. Mercedes are experimenting with a device like this, but we don't see it being implemented before the European leg of the championship, after the cars get some mileage and some testing done on the Fridays in race trim. The switch to Pirelli tyres has made the racing more exciting to say the least. 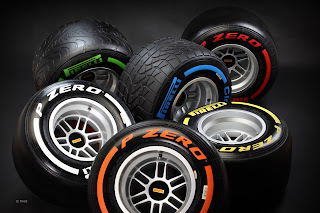 With Red bull not being able to run away with the championship as they did in 2011, I say it was well played by Pirelli to make tyres that took some time to understand for all the teams and resulted in 7 different winners from the first 7 races. 2011 also had Pirelli tyres, but the teams did not have too much trouble getting them upto temperature and managing the tyre wear rate. Therefore, Red Bull which had the most efficient aero package on their car walked over the competition. James Allison of Lotus on the new Pirelli tires says, "Pirelli has changed both the internal construction of the tyres and also the tread rubber compound. In the former they have tried to improve the ability of the trye to handle braking and cornering loads simultaneously and in the latter they are hoping to deliver exciting racing by aiming for softer tyre compounds that suffer rapid lap time degradation as they wear. "From what we have seen so far the construction changes are helpful and we are adjusting our setup to make the most of them. Regarding the compound choices, we are happy with the direction that Pirelli are headed and the challenge for us is to find out how to make the rubber last better than our competition." The most visible of the differences, which looks to cover up the ugly stepped nose and had fans up and yelling in 2012 is the vanity panel. Mclaren were the only team in 2012 to not have a stepped nose and had incorporated the changes in rules to reduce the nose height in their car differently from others. For 2013 Lotus and Caterham have a visible step in the nose, Red Bull, Sauber and Mercedes have a smaller step than they did last year, where as the Ferrari, Toro Rosso, Mclaren, Williams, Marussia all sport a pretty smooth nose, albeit because of the vanity panel on the step. James Allison at Lotus mentioned that the reason they did not have the vanity panel on the nose was because it would add too much weight to the car. I like the DRS in race conditions, not so sure they should be used in qualifying at all. As for tyres... meh. When the rules allow a team to realistically go all in and try to finish a race on one set, I'll pay attention. Otherwise, I preferred it when there was more than one manufacturer. 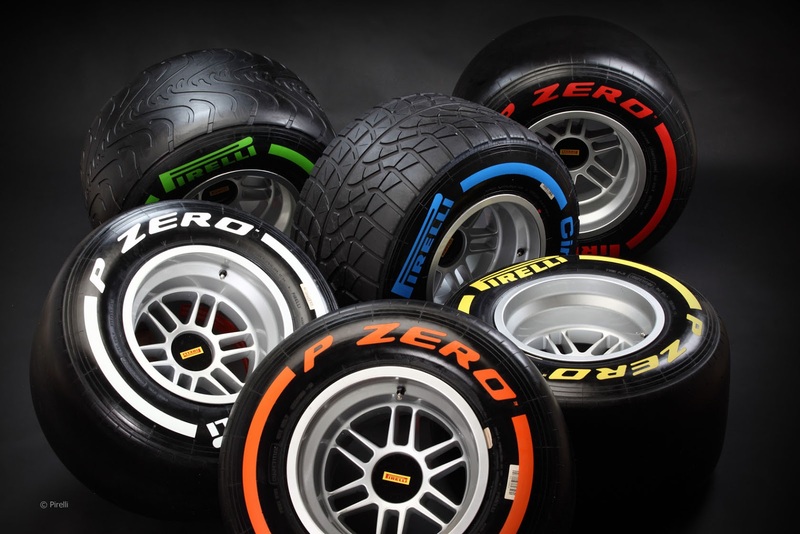 Allowed for some real differences in not just wear, but actual grip characteristics between prime sets of tyres supplied by the competing brands.